WHY SHOULD I USE A FACIAL MASK AT HOME? Want your facial results to last longer? Use a mask! We often hear of clients who use little to no home care products but still go for their monthly facials at a professional clinic. Although professional treatments are designed to give an instant and deep effect, this effect can only be long lasting if supported by the correct home care routine. Using a mask as part of your home care routine will allow your facial treatments to have a more intensive and longer lasting effect with better value for money – who doesn’t want the best results? Additionally, a mask is a wonderful way to get an instant boost for any skin type in order to achieve a clear, radiant and toned skin. It is also an easy and affordable way to achieve a better looking skin – quickly! HOW DO I CHOOSE THE RIGHT MASK FOR MY SKIN? 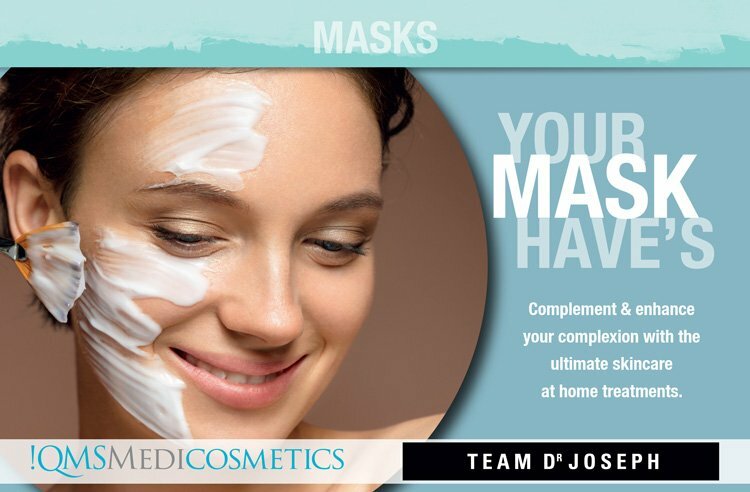 The simplest way to choose a mask is to consider how your skin is looking and feeling to you. Skins that feel congested, clogged and prone to breakouts can use a mask with purifying effects such as TEAM DR JOSEPH Deep Purifying Facial Mask with natural anti-biotic effect, tightens enlarged pores and prevents pimples from leaving unsightly scars. During winter months, the skin becomes dryer and needs added protection against the elements. For dry skin types, we recommend the TEAM DR JOSEPH Intensive Moisturizing Mask with natural Hyaluronic Acid. For sensitive skins, we recommend the TEAM DR JOSEPH Intense Skin Calming Mask with moisturizing properties while also containing Chamomile & Horse Chestnut to calm irritation, reduce redness and strengthening capillaries. Want a botox-like effect for wrinkle reduction but are afraid of needles? Try QMS MEDICOSMETICS Relax-o-Firm Mask or TEAM DR JOSEPH Intense Repair Well-Aging Mask for lifting, wrinkle plumping and intense radiance. Smokers and those with dull skin complexions will love the TEAM DR JOSEPH Intense Revitalizing Mask with OXY-LYSATE complex boosts oxygen uptake and suitable for all skin types. Highly concentrated marine collagen and Hyaluronic acid in QMS MEDICOSMETICS Activator Mask is excellent for jet-lagged and tired looking skins are instantly refreshed and energized. Tired and stressed skin, skin with fine lines and wrinkles caused by dryness will lap up our QMS MEDICOSMETICS Hydro Foam Mask. The hyaluronic acid provides intensive moisture and hydration giving the skin a more radiant complex. It also has vitamins A, C and E to protect against free radicals and precious silk proteins to restore moisture in cells. HOW SHOULD I USE THE MASK AT HOME FOR THE BEST RESULTS? Use a facial mask 2 – 3 times a week for 10 – 15 minutes. Apply the mask after cleansing to a clean skin and allow the ingredients to penetrate and take action. 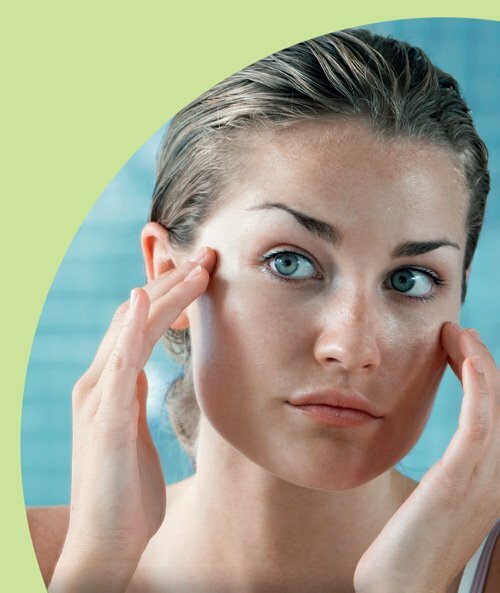 Then rinse with luke warm water, tone your skin and apply the rest of your serums and creams. Exfoliation. Another highly recommended way to intensify your mask’s effects at home is to use it as part of your DIY facial at home. After cleansing, use an exfoliator to remove build-up of dead skin to allow ingredients to penetrate quicker and deeper – we recommend the QMS MEDICOSMETICS MED Dermabrasive Gel for sensitive skin or QMS MEDICOSMETICS Exfoliant Fluid or the TEAM DR JOSEPH Fruit Acid Peel. Tone with cotton wool pads and apply your serum followed by the appropriate mask for your skin. Doing this sequence 2 – 3 times a week will give the skin the most intensive boost and is similar to a professional treatment. It is also recommended to use your mask choices at home if you don’t have time for regular professional facial treatments. This entry was posted in Blog, QMS Medicosmetics, Team Dr Joseph. Bookmark the permalink.